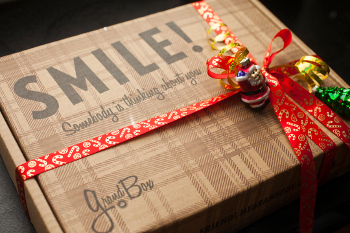 Each month, the GrandBox team designs a new theme to build around. Whether it be Farmer's Market Fun or Movie Night at the Drive-In, each care package is developed specifically for your senior parents, grandparents, and loved ones. Included is at least FIVE full size items (no samples) along with your family photos and personalized note. 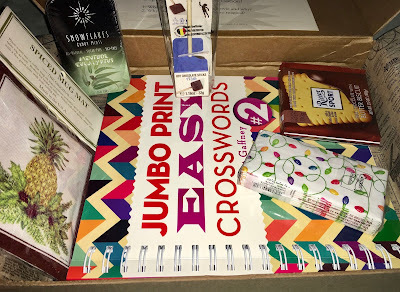 Cassandra's review- For $33 a month you get a box with a few items in it. 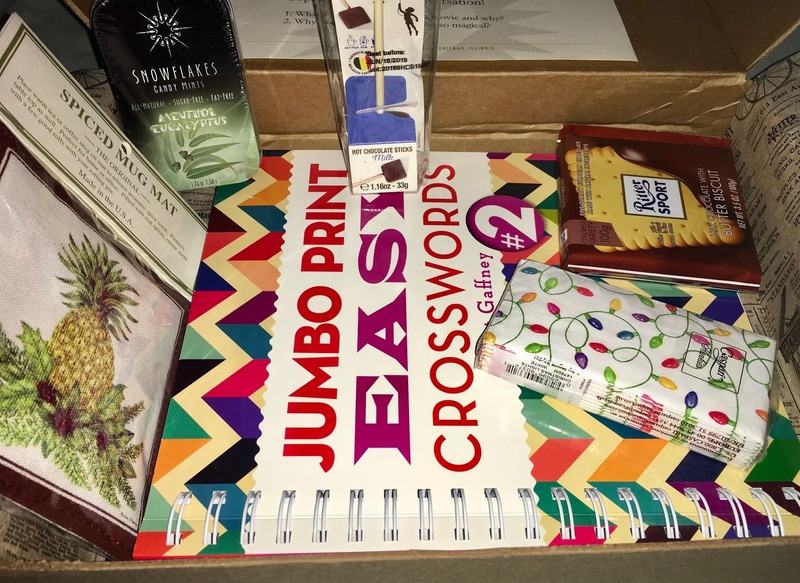 The box I received had six products total, the crosswords book might not be super easy for elderly people depending on how they are doing mentally. I did not eat the mints (xylitol) or the chocolate biscuit. The hot chocolate stick and spice mat is more novelty but was paired with the Christmas light tissue pack. All products in the box came out to $33. I think if you have some extra money and have no idea what your grandparents like, this is a great gift as it is definitely random and probably contains nothing your family member would have, aside from crosswords, though I prefer wordsearch myself. Also, I think that it would be great if you could pick the items you would send in the box. Maybe it was because I was not sent a personalized box but it was just a review box that I had no way to customize or create. My last thought would be for you to try it out and see what you think.